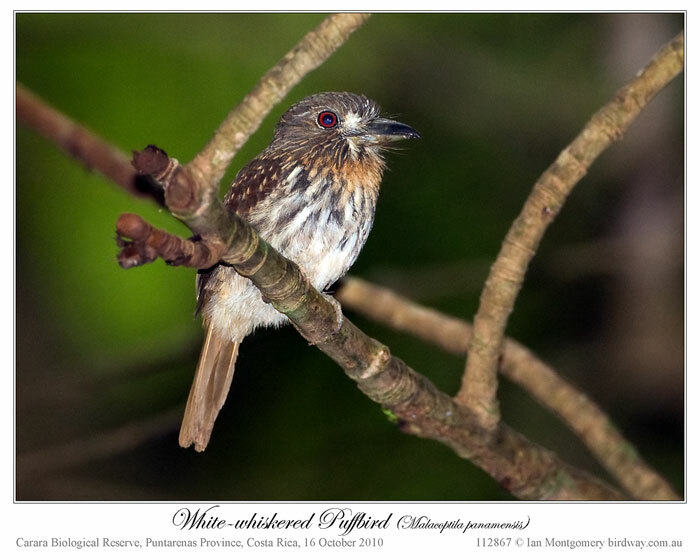 The puffbirds and their relatives in the near passerine family Bucconidae are tropical birds breeding from South America up to Mexico. They are related to the jacamars, but lack the iridescent colours of that family. They are mainly brown, rufous or grey, with large heads and flattened bills with a hooked tip. The loose abundant plumage and short tails makes them look stout and puffy, giving rise to the English name of the family. They feed on insects and small vertebrates caught by a watch and wait technique. 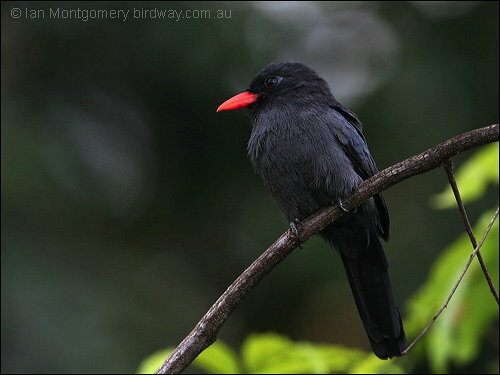 The species range in size from the Rufous-capped Nunlet, to the White-necked Puffbird.